Entegy Partner Sprintr by AV1 offer a range of portable self-serve kiosks that print delegate name badges. Recently they delivered their solution to 6000 delegates for The World Congress of Accountants (WCOA) and we spoke with Chris Schlueter, Sprintr’s Product Manager to learn more. 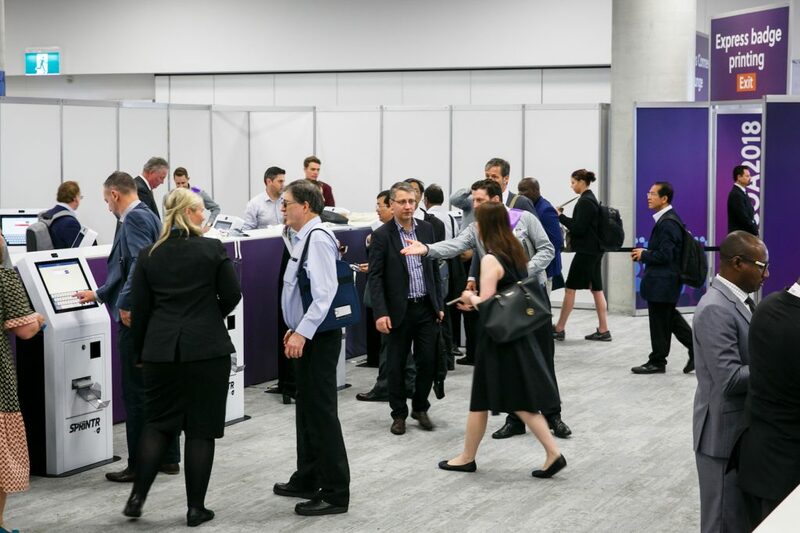 During November the world’s leading accounting and finance experts gathered at the International Convention Centre Sydney for an inspiring global conference. The World Congress of Accountants (WCOA) 2018 took over much of ICC Sydney with 6,000 professionals from 130 countries in attendance over the four days. Alongside co-hosts Chartered Accountants ANZ and CPA Australia as well as event organisers MCI Australia, Sprintr helped deliver a unique event experience with their onsite registration kiosks. 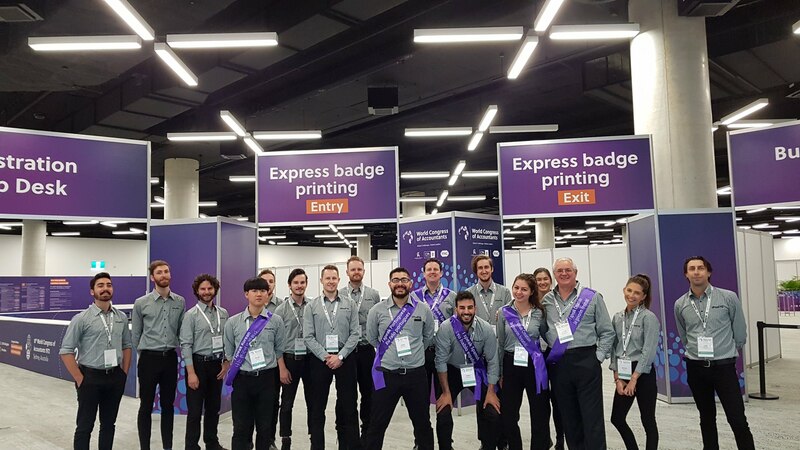 “Whether you’re managing an event for 100 or 10,000+ pax, we have a proven solution for your onsite badge printing and registration needs. With each event being unique, we’ll provide a tailored package based on your key objectives, delegate demographics and event schedule.” says Chris. For WCOA 2018, that solution involved 25 Sprintr kiosks and a number of customer service staff to greet and usher guests, aiding them throughout the check-in process. That left event staff with more time in the lead up and on the day to look after their other commitments. “Many events will have delegates flying in from all over the world. And it’s important to factor in the different languages, cultures and customs they may have. In a sometimes unfamiliar environment, delegates will appreciate having staff onsite who speak their native language who can provide directions, offer assistance and answer questions.” says Chris. With delegates from 130 countries attending WCOA, Sprintr had staff onsite speaking English, Portuguese, Croatian, French, Spanish, German, Italian, Norwegian, Swedish and Korean. “Design is key to the look and flow of any event, no matter the size. The design of the Sprintr kiosks is one of their best selling points. But it’s their team’s attention to detail in setting them up that delivers great results.” says Chris. 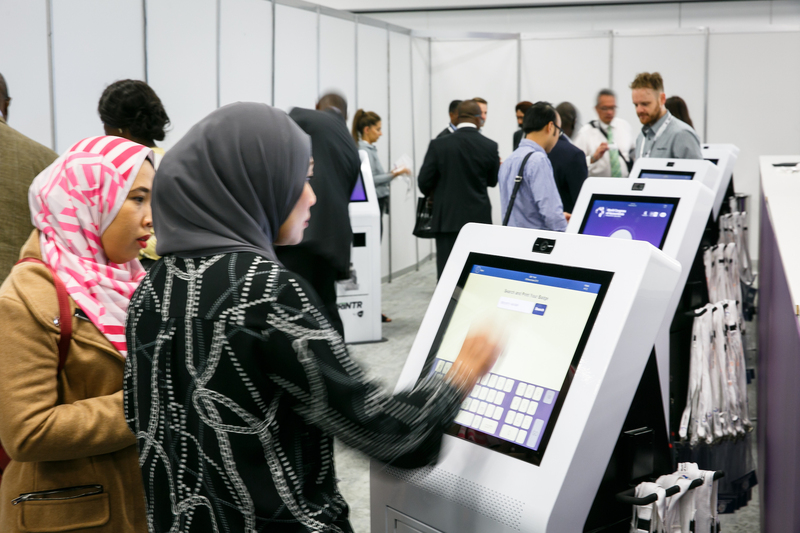 For WCOA, Sprintr ensured there was just the right amount of space around the kiosks to allow delegates to move freely and pass through comfortably. Even during ‘rush hour’. If you’re looking to offer your delegates an incredible welcome experience, Sprintr can offer you a tailored solution.